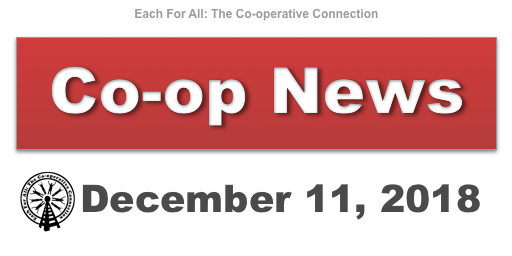 Home/News/Co-op News for April 2, 2019. The Co-operators has been awarded the highest ranking of the J.D. Power 2019 Canada Home Insurance Study for overall customer satisfaction in the Atlantic/Ontario region and ranked second overall in the Western region. The J.D. Power study measures overall customer satisfaction with Canadian home insurers, examining five critical factors: product/policy offerings, price, billing and payment, non-claim interaction and claims. The Co-operators received the top score in all categories for the Atlantic/Ontario region and ranked second in all categories in the Western region. Armstrong Regional Cooperative donated $5,000 to the new Trades Training Centre to purchase state-of-the-art tools for the students in the more than seven programs offered in the new Centre. The new equipment ranged from air-powered nail guns to welding helmets, electric sanders and socket sets. Jason Keis, Armstrong Regional Cooperative Marketing and Sales Manager, said they were excited to invest in students entering the trades. He also said a big part of our business model is supporting the community. Armstrong Regional Cooperative has a long history of supporting community through annual donations to a number of different organizations and community events.